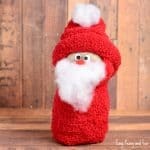 Whether you are looking for a cute DIY gift or for a unique door stopper this no-sew sock snowman craft is certainly something to try. 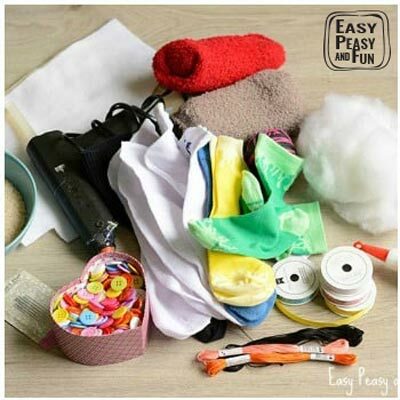 This craft is perfect for everyone who has been experiencing the missing sock phenomena (which is everyone really) as now you know what you can do with all the odd socks. 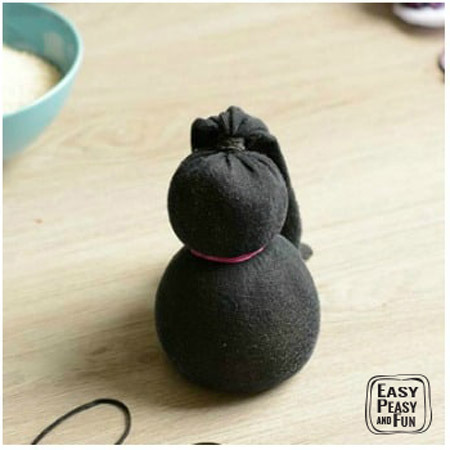 The first few pictures show a black sock – you need to use a white one – the black sock is from another sock craft tutorial we have – the procedure is the same. Start by filling your white sock with rice. 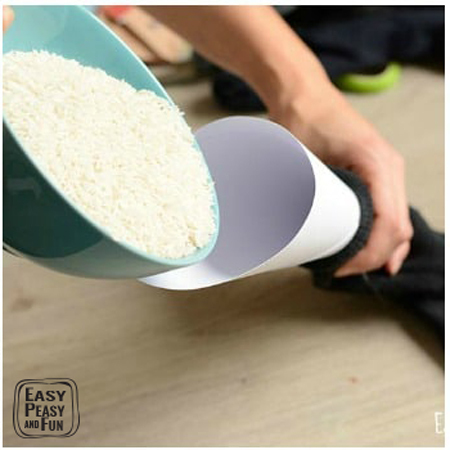 You will need a hefty amount (we were quite surprised to see how much rice can go into one sock). 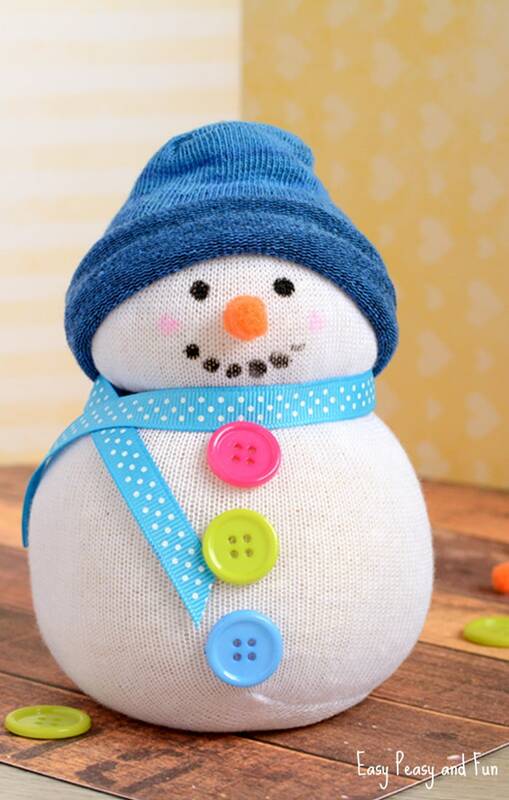 Once you are happy with the amount (and size) of your sock snowman tie the top with the rubber band. 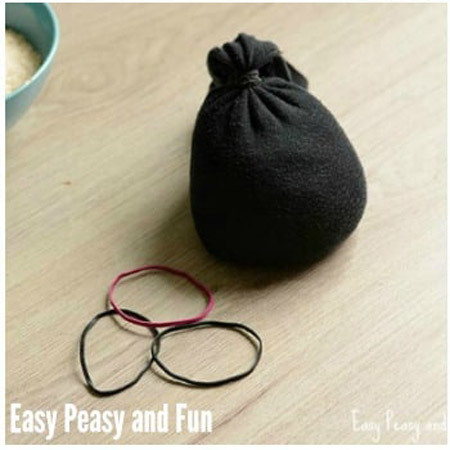 Take another rubber band and place in the middle – more to the upper side – of the rice filled sock to form the head shape. Now glue the buttons to the bottom side by using a glue gun (glue dots do a fairly good job too). We also added pink cheeks (Crayola washable paints were great for the job). 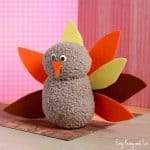 We made the nose out of two orange pom poms – turned out amazing. 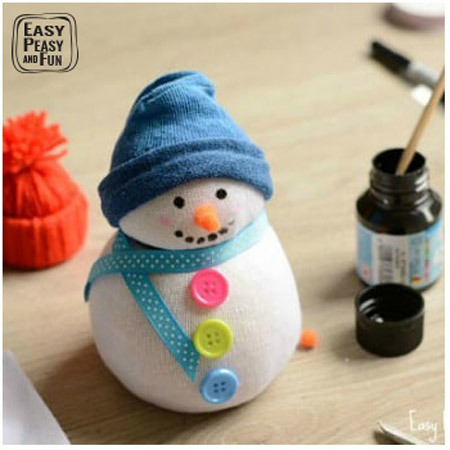 Add a ribbon for the scarf – we fount that glue dots and glue gun work best for ribbons, while other glues kind of fail miserably. You can cut off excess white sock (or you can tuck it in the hat we will be making next). Cut the colored sock (we cut the foot part, without heel). 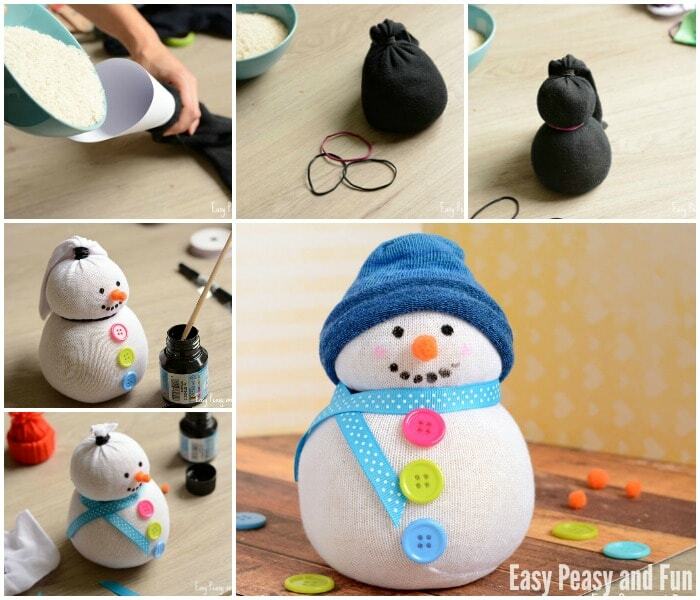 Roll it a bit and place it on the head of your snowman. You can leave it as it is or you can secure it with some glue. 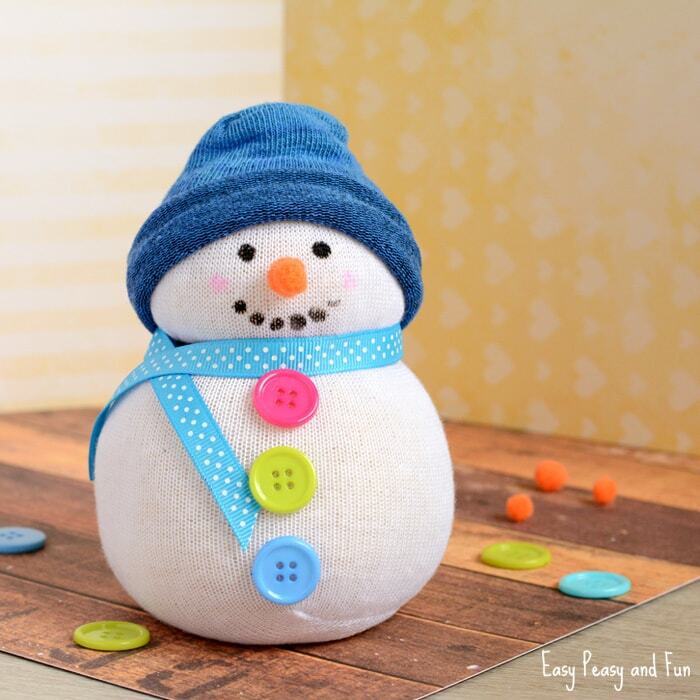 This sock snowman is ready to rock. 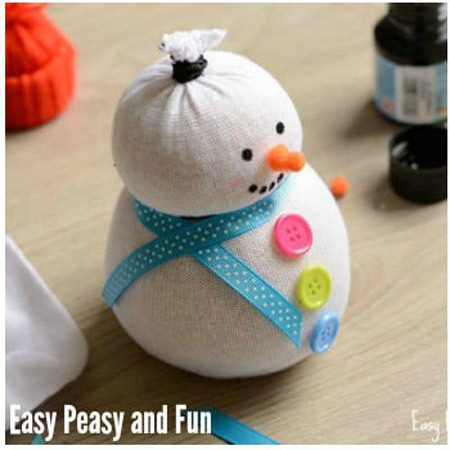 Fun and easy to do,I did all three snowman,penguin,santa. 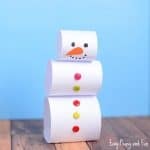 I love your snowman craft! 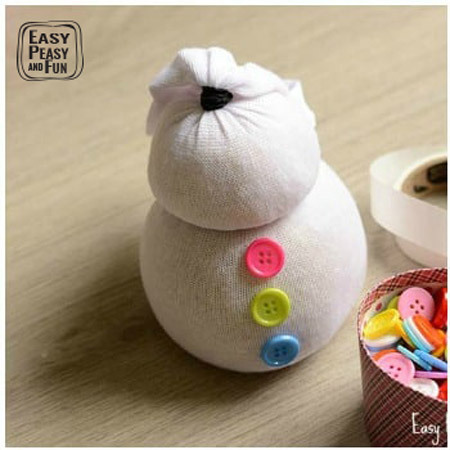 Just wondering what size socks you used for the snowman….? Thank you! For the snowman the sock was M sized (US – 5-7.5, EU 37-41). 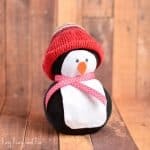 We did more sock creations (penguin, snowman and some others that will be added soon) and used different sized socks – from kids socks to mens and we could make them all roughly the same size – some were just chubbier than others 🙂 so most socks will do. We cut the “ankle” part off, so the toe part made the top of the head yes? 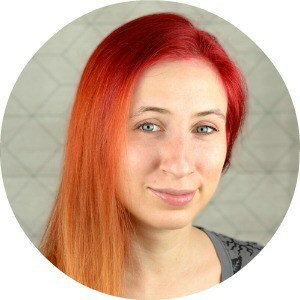 But there really are no rules, if you would cut the toe part off, you would end up with two open ends – what you would do here is use a ribbon to tie one end – which would make a “pom pom” on the top of the hat – so it would look super cool too. 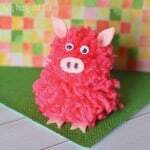 These are so cute and look really easy to make! 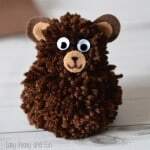 I think my 9 year old is going to make these for gifts this year. What kind of sock does one use? Crew, ankle, etc..
We used the “regular” ones (ankle-dress type / crew). The “foot” and “heel” parts are the ones we filled with rice, so as long as you’ve got that (and a bit extra to tie up) you’re all good. If you would use a liner sock, you’d probably need to use less rice to fill it and tie it under the heel. 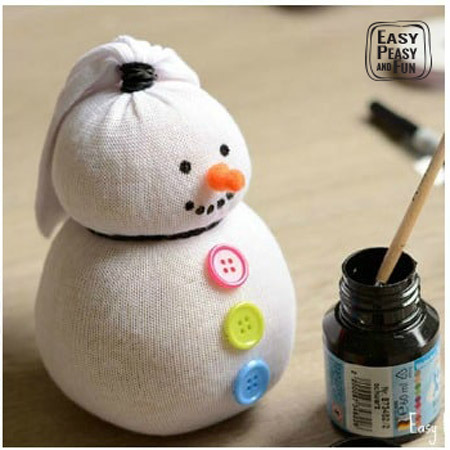 Longer socks, like over the calf ones, would make 2 snowmen out of 1 sock – the calf part would have two holes so you would first have to tie one hole (rubber band + glue gun), turn the sock inside out and then follow the tutorial. Also, I am wondering if you would weigh one and tell me approximately how many ounces or lbs of rice each takes with that medium size sock. I know rice is heavy so it looks to me like 3 lbs or so. I need to buy rice so my kids at 4H can make them so I need an idea of how much to buy. Oh, yes, and did you trim one of the orange pom poms to make it smaller? and did you use the hot glue gun for putting the two together? That’s a bit hard to answer. We did a few different no sew sock toys with the same sized socks but the amount of rice was different as different socks stretched differently. Roughly we used half a box of rice for one (1 kg – 32 ounce box). But it can easily be more or less. With the last toy we “cheated” a bit and filled it with a mix of scrap fabric, yarn, pebbles and rice (as we were running low on rice) and it work out nicely too. The pom pom was super small, we didn’t need to trim it down. No glue gun for putting the nose on, but it would certainly be a good medium to use to make the nose more secured. Where did you find your cute buttons? These were bought off of ebay – I random searched assorted buttons and there are a ton of cute little (and inexpensive) packs of buttons. P.S Planning to use this for an upcoming kid’s Christmas party!